ICMA San Giorgio S.p.A. manufactures co-rotating extruders and complete compounding and extrusion systems (so called Direct Extrusion or In-Line compounding) for the production of compound and master-batch, foils and sheets and special execution products. The range of the standard twin-screw co-rotating extruders, the high-torque version and high-volume, which covers all types of compounded or master-batch products. The twin-screw co-rotating extruder is presently the highest performing machinery we have at disposal, to meet the growing requirements of the recycling process. ICMA San Giorgio S.p.A. today operates in several markets that arise in various states of the value chain. It spans from upstream sectors such as PETROCHEMICAL until reaching markets closer to the consumer sector serving either for compounding or sheet/profile extrusion several vertical markets like AUTOMOTIVE, CONSTRUCTION, WHITE GOODS and PACKAGING. Plastics have become the material of choice in many interior and exterior automotive plastics applications. Packaging is a key driver for plastic application and innovation. Smart extrusion solutions are what ICMA offers. ICMA offers to Construction several possibilities from compounding to sheet, profile and pipe extrusion. In the white good industry ICMA has served some major international group by supplying, among the other, high output compounding systems. ICMA's extruders and extrusion lines offer more than 40 years of experience of recycling applications. Opportunities are wide and more and more critical as circular economy business models re-shape entire industries. PROMIXON S.r.l. is specialised in building machinery and equipment for mixing plastics and for powder coatings. A complete range of High Speed Turbomixers and High Efficiency Horizontal Coolers engineered for the production of PVC Dry-Blend, WPC (Wood Plastics Composites made of PVC/PP/PE and wood flour), special applications and our High Speed Container Mixers for Colors, Master-Batch and additives. Container Mixer FX, the best alternative to conventional high speed mixers when production conditions require a high versatility and a wide range of different products to be mixed with the same mixer. Turbomixer XM, the best solution for PVC mixing and all those applications in which the dispersion of powders with powders or granules or with liquid addition is requested. Horizontal Cooler XC, designed to give the best performance in cooling hot Dry-Blend from the turbomixer. Xblend MC, a combination of Turbomixer XM + Horizontal Cooler XC. With this solution, we can meet all production requirements for the preparation of PVC Dry-Blend both rigid and plasticized. The XLAB series provides the best solution for the laboratory testing. 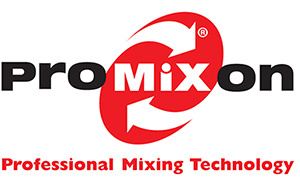 The laboratory mixer is composed of the Heating Mixer XLM – from 5 l. to 100 l – combined with the Vertical Cooler XV – from 10 l. to 200 l.
We fulfil the mixing needs of powders factories manufacturing Powders Coatings Mixing Plants for the processes of Pre-Mixing, Metallic Blending and Metallic Bonding. Details you may get from the specification of our type FX Series and the XBOND – MC/B Series. The XLM series provides the best solution for the laboratory testing, as it permits to develop the process for scale up data. The laboratory mixer is composed of the Heating Mixer XLM, available in sizes from 5 l. to 100 l.
IMG is a young company with an experienced and highly qualifed staff. We are always looking for new technologies that can improve our customer’s work and give them a complete service to within the injection machineries world: a qualifed technical service, interesting spare parts solutions, old machinery inspection, sale of second-hand and new machines created and designed for the customer. Thanks to our customers, we have always worked for something more than just what market already offered and achieved amazing results. To get the best performance from your machine and improve its productivity, we have a wide range of accessories, available in stock, for any brand and model.